In this episode of Christianity and Classical Culture, Dr. Fleming discusses the Georgics of Vergil: how and why Virgil uses a paean for agriculture and the rural life to teach deeper lessons about life, death, and responsibilities. In the final 20 minutes of the show there is a bit of disturbance with Dr. Fleming’s audio. We apologize to listeners in advance. 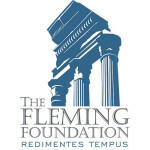 Christianity and Classical Culture℗ is a Production of the Fleming Foundation. Copyright 2017. All rights are reserved and any duplication without explicit written permission is forbidden. Dr. Fleming: Thank you very much for this episode on Vergil. I was surprised that he was really talking about the death of the imperial Republic and not about the care of fields, cattle and trees, but it made sense to me. Why was he talking about the death of the Republic? What was happening in Rome at the time when he wrote about it.? I got lost when you discussed the connection of Aristetus with Orpheus and his lamenting the loss of bees as a metaphor of purgatory. What did the loss of the bees have to do with the death of the Imperial Republic and purgatory? I think I missed the point somewhere. I appreciate your expertise on all these subjects. Dot, thanks for the questions. First, republic means two things when speaking of Rome. First, it is the Res Publica, the affairs common to the people, thus commonwealth, no matter of what form. Second, though, it usually connotes the mixed government of democratic and oligarchic elements in place between the expulsion of the kings and the dictatorship of Caesar, which brought an end to “the old republic.” The assassination of Julius Caesar was an attempt–probably doomed–to restore in some way the republican institutions. Julius’ heir and successor, Augustus, tried to establish a system with republican forms and much of the republican virtue. Vergil applauded this attempt and connected it with the need for a political, cultural, social, and moral restoration, which to a large extent was successful. In the Georgics, by taking up the restoration of Roman farming, he is able to talk indirectly and allegorically about the restoration of the Roman commonwealth, which is why in Book III, he describes the horrors of the plague and book I he talks directly about the civil wars. The story of Aristeas and the resurrection of the bees was, if we are correctly informed, an afterthought, brought about by the condemnation and suicide of Vergil’s friend the poet Gallus. In linking the story to Orpheus and Eurydice, he was able to rope in a tradition of Greek mysticism and belief in the after-life, while the resurrection of the bees functions as a beautiful metaphor for the resurrection of the Roman republic under Augustus. Dr. Fleming, thank you for your reply. I found this podcast most interesting. I am wondering if you see any history repeating itself considering the times we live in today? I plan to listen to this podcast again. Thank you again for the education you are providing. It is a pleasure and an honor to be of servie.